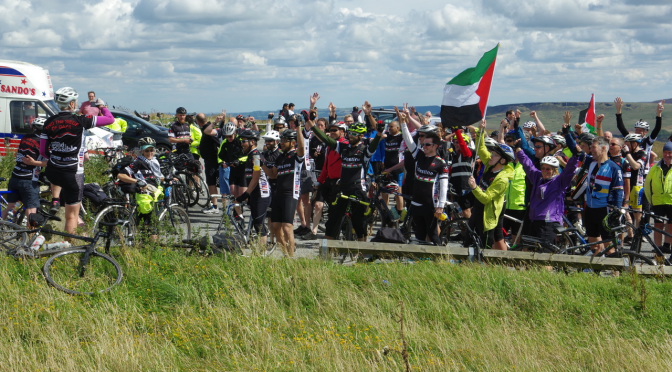 The Big Ride for Palestine is an initiative by supporters of the Palestinian people that combines a love of cycling with practical solidarity and awareness raising, especially around the plight of children in Gaza. The Big Ride for Palestine brings attention to the Israeli military occupation of Gaza, the West Bank including east Jerusalem – since 1967. The Big Ride for Palestine is raising funds for sport equipment used in rehabilitation, a project in partnership with the Middle East Children’s Alliance (MECA). This years Big Ride for Palestine is a three day event from Coventry to London via Northampton, and Luton.